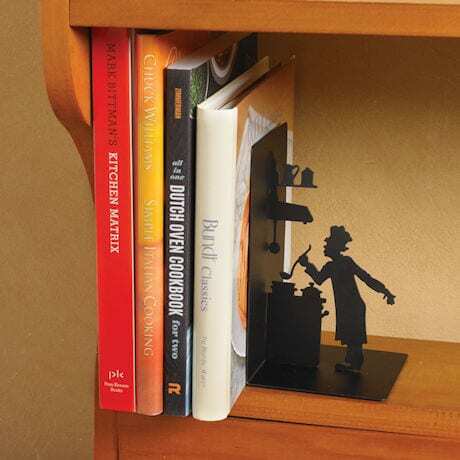 Add a dash of intercontinental whimsy to your kitchen with the adorable Le Chef Bookend we brought home from Europe! Made of metal, with silicone feet to prevent sliding, this hardworking culinary artist will tastefully hold your most treasured cookbooks neatly in place on a shelf or countertop. Measures about 6½"x4"x4".